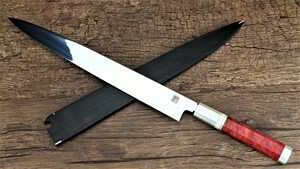 Recommended for a professional chef or knife collector; if for chef then good sharpening skill is recommended. 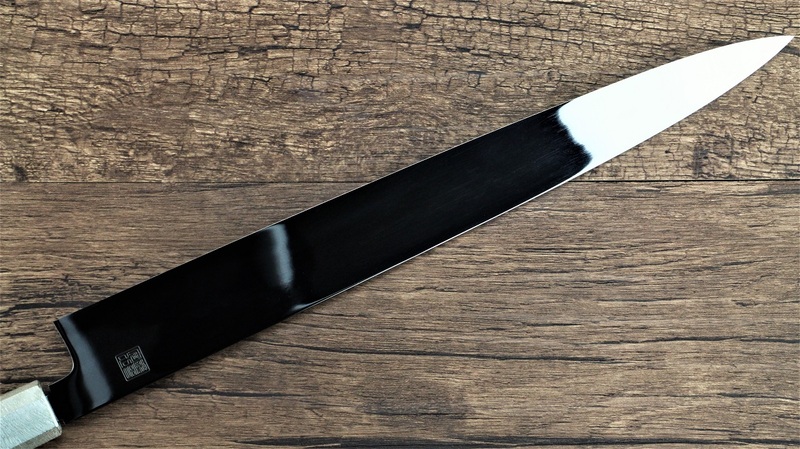 Complimentary First-Time Sharpening ； We use shapening machaine and hand to sharpen , so there might be some scratches from sharpening.Especially with the thin edge . 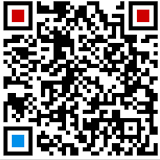 If you cant accept the scratches or looking for perfection please select ‘Dont sharpen my knife' .Thank you . 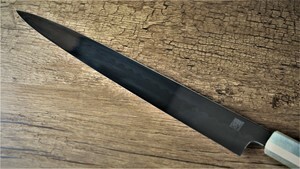 I understand the waiting time is 2 months to one year, cancel order is un-acceptable during the waiting time, and want to pre-order it . 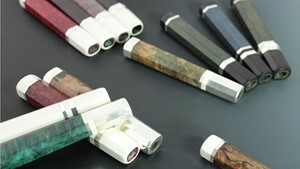 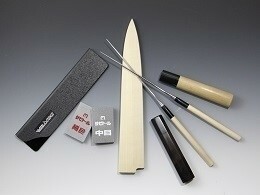 Sakai Akazawa’s Ikeda series Made by Traditional craftsman Association Chairman Toshikazu Ikeda’s. 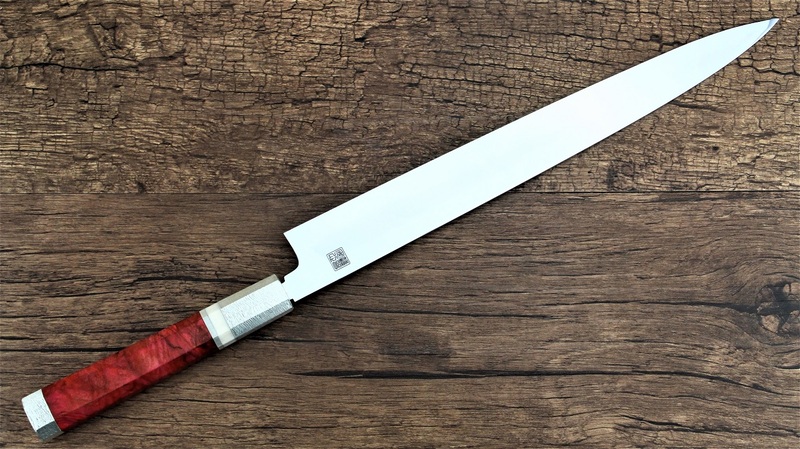 HRC ranging from 63-65 .While the blade steel of the knives in this series are very hard and difficult to sharpen they keep their edge for a long time, making them practical knives that are an asset to the professional chef or cook. 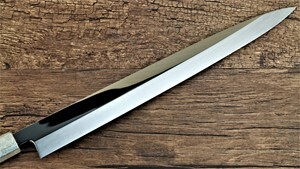 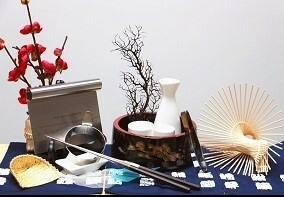 Additionally, the blade steel in this series is of a “Mizu-Honyaki”(Water quenching) variety. 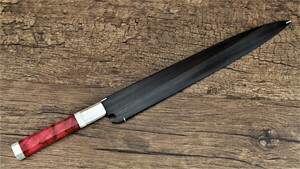 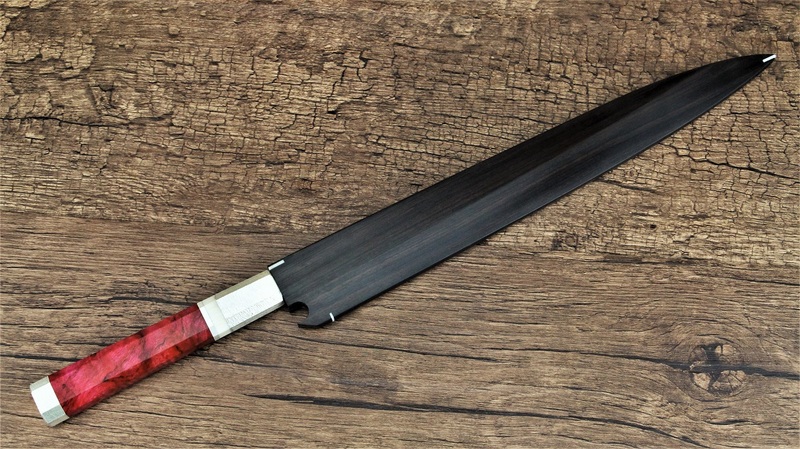 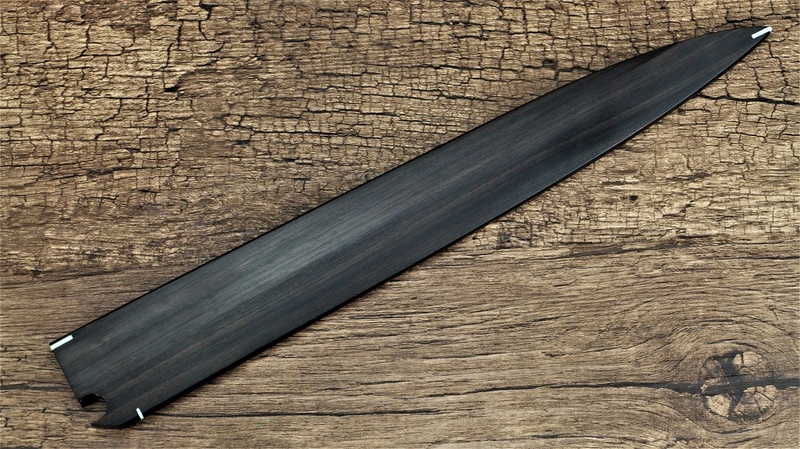 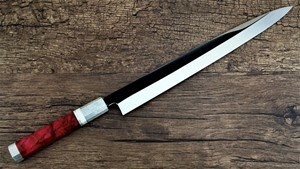 A “Mizu-Honyaki” blade steel is crafted solely out of high-carbon steel and isn’t bonded with soft iron. 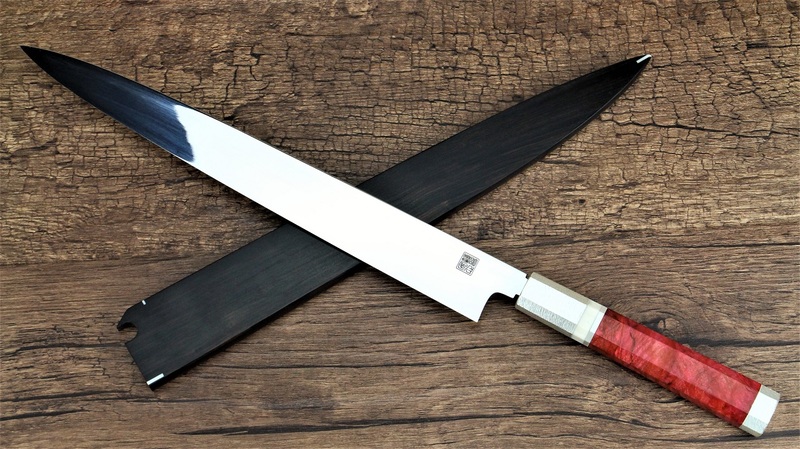 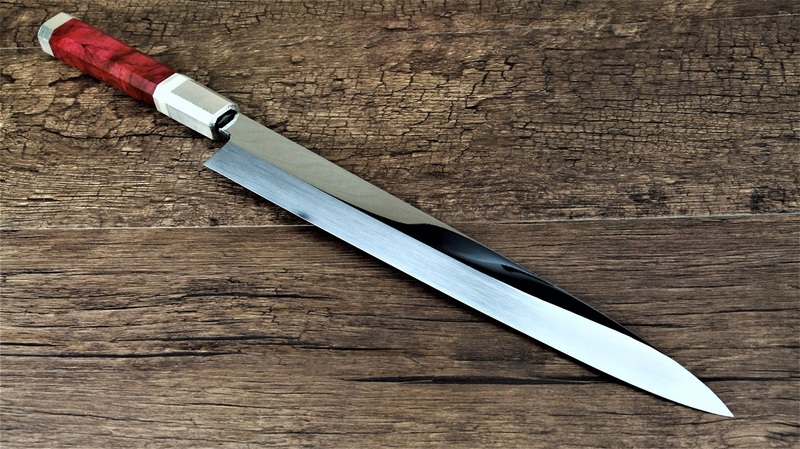 “Mizu-Honyaki” knives require a highly-skilled blacksmith with advanced forging and tempering knowledge to craft correctly and are therefore considered high-quality, luxury knives. 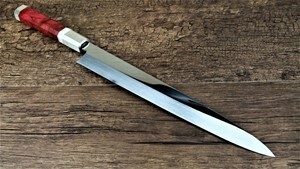 The knives in this series require an individual with good sharpening skill and who knows how to use a whetstone in order to maintain them because their hardness makes them prone to chipping. 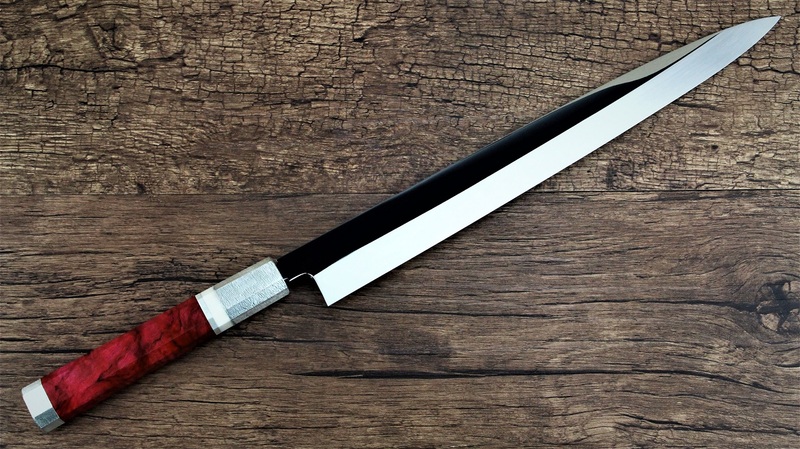 Every knife in this line comes equipped with a traditional, octagonal Red Wood With Pure Silver Bolster handle and Ebony Wood Saya Covers. 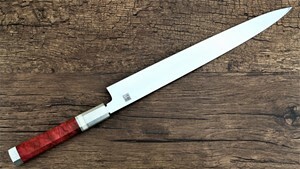 Recommendation: Sakai Akazawa’s Shiro-ichi-Ko Honyaki line is recommended for professional chefs, cooks and kitchens because they require advanced knife maintenance and sharpening skills. 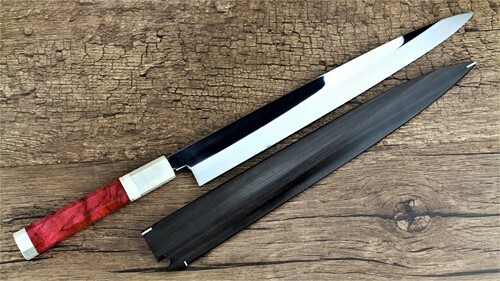 Additionally, the blades of the knives in this series rust when exposed to air and water and must be dried properly before being put away.